It is with great sadness that we announce the sudden passing of Penny Altstadt, on March 21, 2019 at the age of 72. Penny was the oldest daughter of George and Mary Boettcher. Born in Prince Albert, SK June 14, 1946, raised on a farm in Spruce Home, SK. Penny was a homemaker raising three children, while continuing a life on the farm. She raised and cared for many animals, while enjoying her hobbies, camping, ball and woodworking. 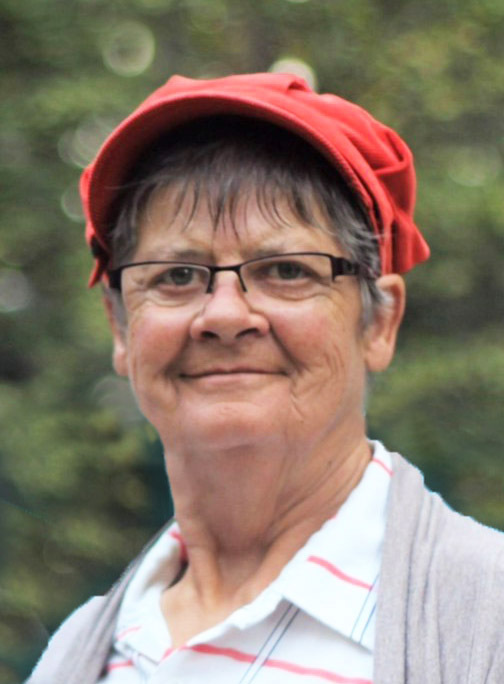 Penny was an important member to the community, driving school bus for over 30 years. She and her husband Ev also opened their hearts to many foster children over the years. Penny worked hard and lived with compassion while enjoying the simple things in life. Penny will be deeply missed and remembered by her loving husband Everett, her family and all who loved her. Penny is survived by her husband Everett Altstadt; son Casey Christante; daughters Susan (Perri) Ruszkowski and their children Reagan (Alexis), Alisha (Tyrel) and Jess; Cindy (Stacey) Petreman and their children Laine and Jazlyn; her adopted children Stephanie (Ritchie) Sasakamoose and their child Ellera; Jamie Goodin and Justin Goodin; her brother and sisters, Barb (Art) Debruin, Sharon Brown, Russell (Heather) Boettcher, Eric Boettcher, Fred Boettcher and Janet (Mitchell) Altstadt; as well as numerous nieces and nephews; her mother in-law, Ruth Altstadt; and brother in-law David (Julia) Altstadt. Penny was predeceased by her parents George and Mary Boettcher; father in law Martin Altstadt; and brother in law Ken Brown. There will be a Memorial Service held for Penny on Friday, March 29, 2019 at 11:00am, from the Canwood Elks Community Hall with Doris Wideen-Bazley officiating. Following the service there will be a time of refreshments and fellowship in the hall. The interment will follow in Prince Albert Memorial Gardens. In lieu of tributes, memorial donation may be made in memory of Penny to the choice of the donor. Family and friends wishing to send online condolences are welcome to visit www.beaulacfuneralhome.com Arrangements have been entrusted to the care of Beau “Lac” Funeral Home, Tammy Smart, Director (Canwood 306-468-2244).